Our little girl is growing up ;^) Maddy turned 2 yesterday. Who loves ya baby! We have some pretty big news to announce here soon but Jen wanted to make sure that I give a shout out to the D who is celebrating her 3rd birthday today. Happy Birthday Maddy! 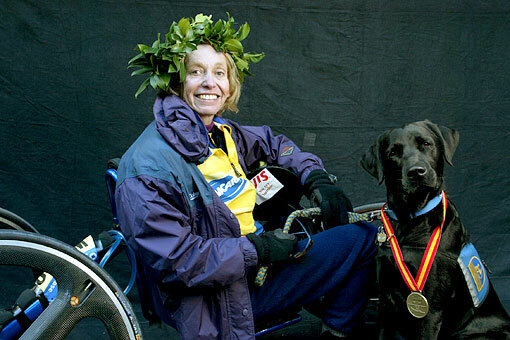 Helene A. Hines, 54, of Lido Beach, N.Y., with her dog, after she won the women’s hand-cycle division of the New York City Marathon for the third time, crossing the finish line in 1:59:26.